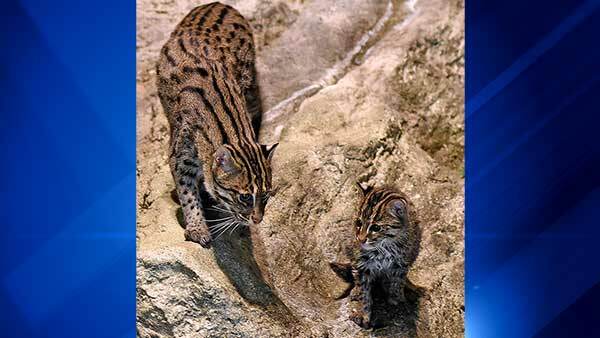 BROOKFIELD, Ill. (WLS) -- The Brookfield Zoo has welcomed a new addition to its Fragile Rain Forest exhibit - a male fishing cat kitten. 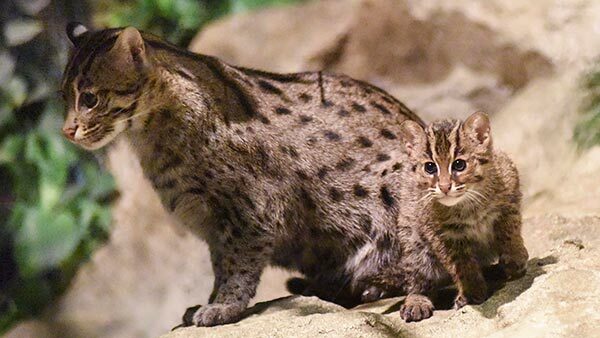 The kitten, who was born on Oct. 31, 2014, is now old enough to be in the exhibit with his mother, 4-year-old Anna, Brookfield Zoo officials said. 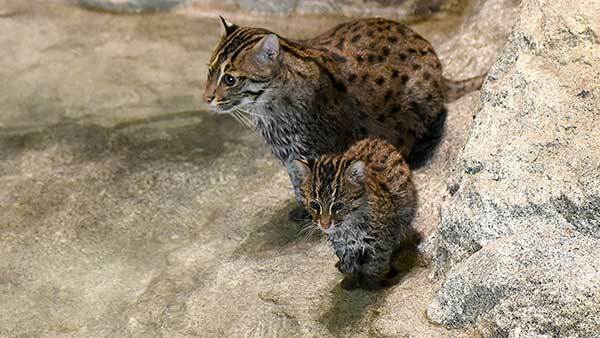 Fishing cats - which are endangered in the wild - are now found near Sumatra, Java, southern China, India and Sri Lanka. 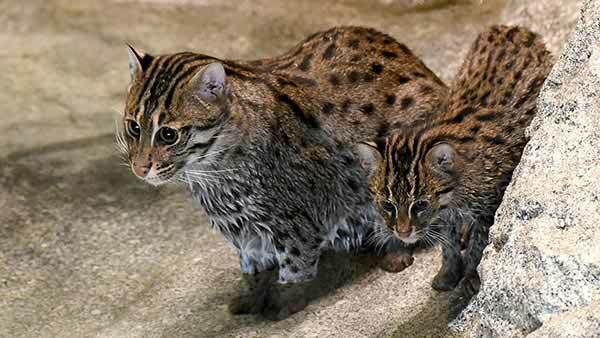 They remain small in size for their entire lives, as males average around 25 pounds and females around 15 pounds. Their diet focuses on fish, but also can include crustaceans, frogs and small mammals. 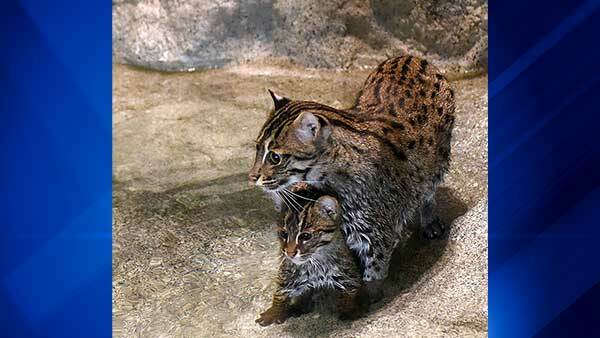 Zoo officials say this kitten is especially significant because its parents had no previous offspring.